OptiMA™ Great White® Magnetic Whiteboards are made with the finest porcelain steel magnetic dry erase writing surface, a beautifully crafted satin anodized aluminum trim and extra deep, full-length aluminum marker tray. This is by far one of the best quality boards on the market and the best in our line. QUICK SHIP ITEM! The magnetic whiteboards listed on this page now quick-ship within 1-2 business days! See Specifications tab for more details. 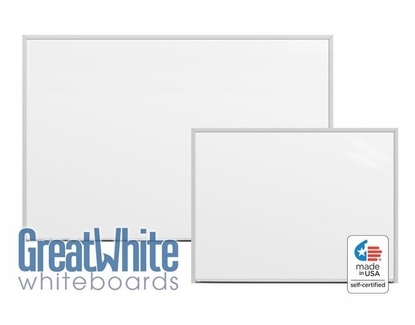 Great White® magnetic whiteboards are OptiMA's best porcelain steel whiteboard and a New England tradition. 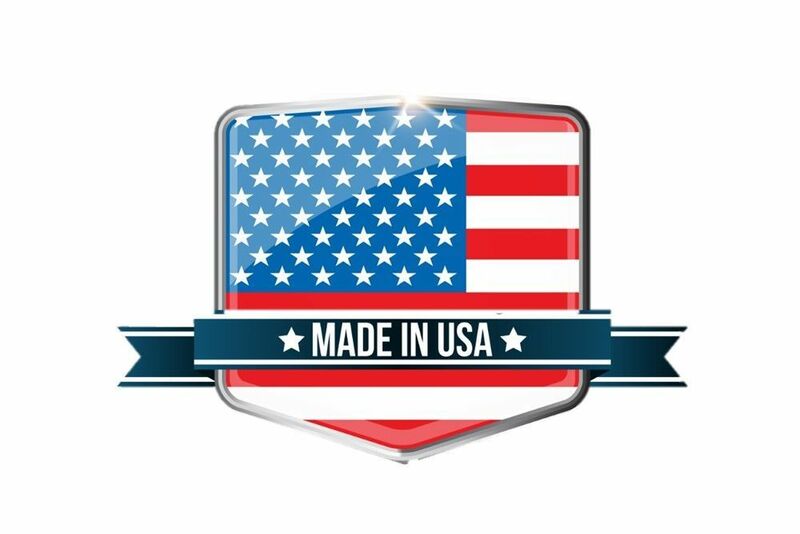 Each board carries a lifetime warranty on the dry erase writing surface and each unit is handcrafted on our factory floor where we control the quality from start to finish. These are one of the finest magnetic whiteboards you will ever find and we stand behind each unit that we make. 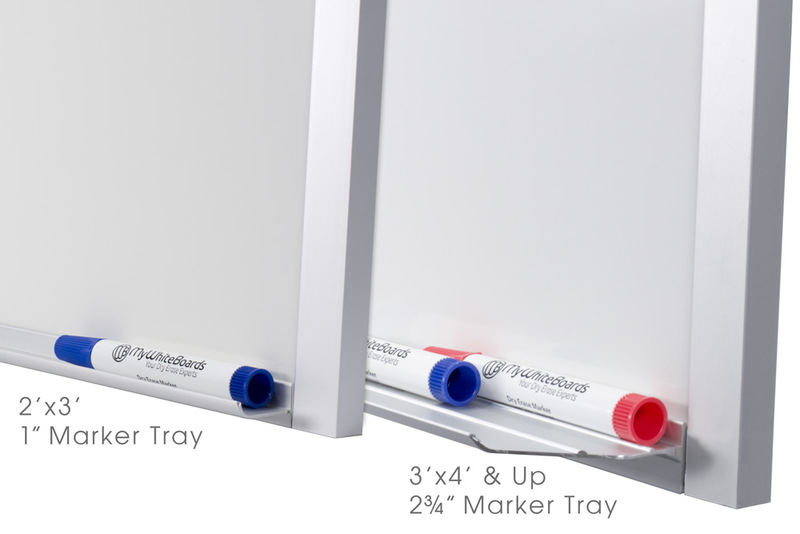 Recommended Uses: Classrooms, training rooms or anywhere that you will be using your whiteboard on a continual basis. The porcelain steel writing surface makes the unit magnetic receptive so you'll be able to use magnets and most any kind of magnetic accessory. It is also highly ghost resistant and you can't scratch the hard white porcelain surface. 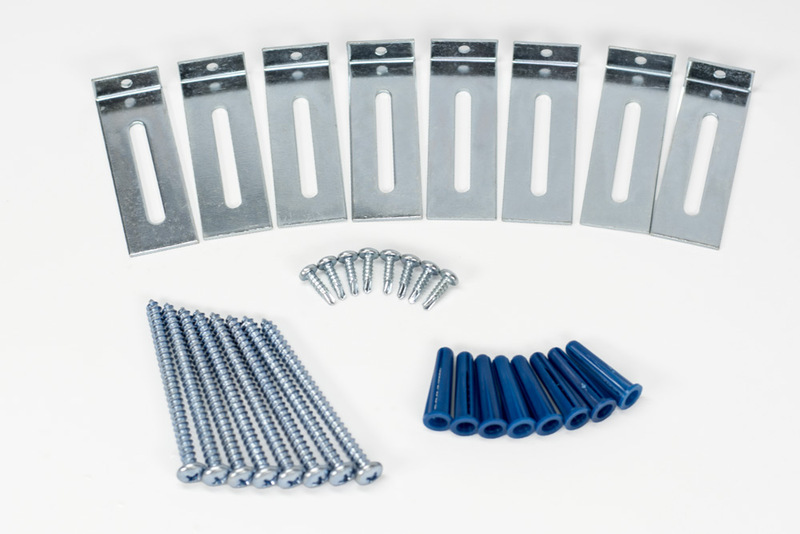 Porcelain steel magnetic whiteboards will last for years and years. 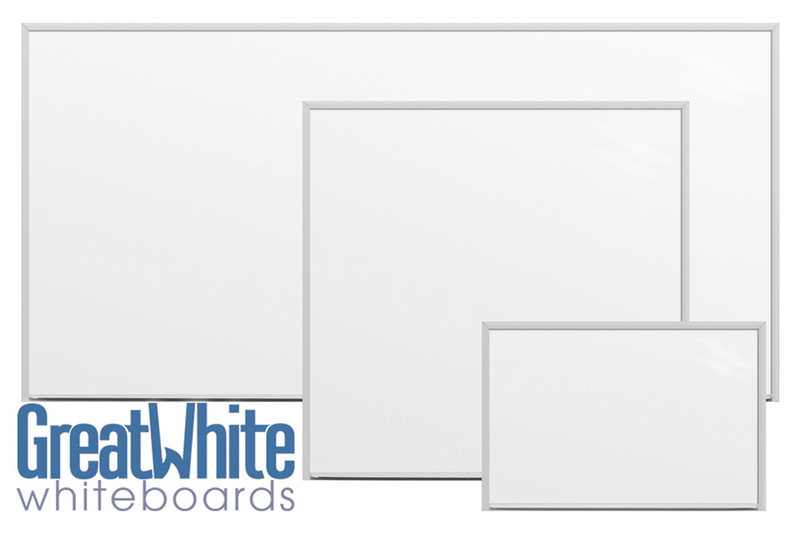 Great White® Whiteboards come in sizes of 2' x 3' up to 4' x 16'* in length and every one is made in our US factory. *Note: 4' x 12' and 4' x 16' are available as two-piece units. Board is split in half and connected with an H-Bar in the center of the unit. This makes the units much easier to handle and install. 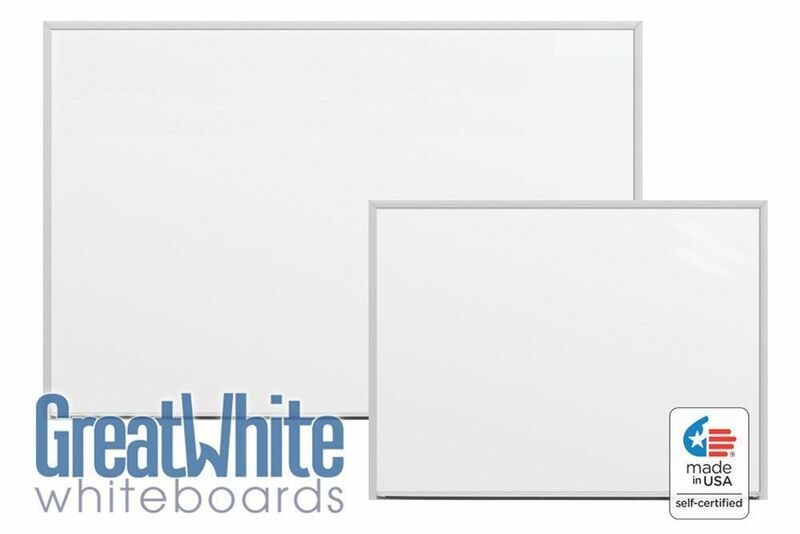 4' x 12' Great White magnetic whiteboards can also be purchased as a continuous single 12' long unit with no H-bar. *50 year manufacturer's warranty on porcelain steel writing surface. Writing Surface: Porcelain enamel on steel. Frame Material: Satin anodized aluminum. Tray: Full-length - Satin anodized aluminum. Warranty: 50 Year Writing Surface. 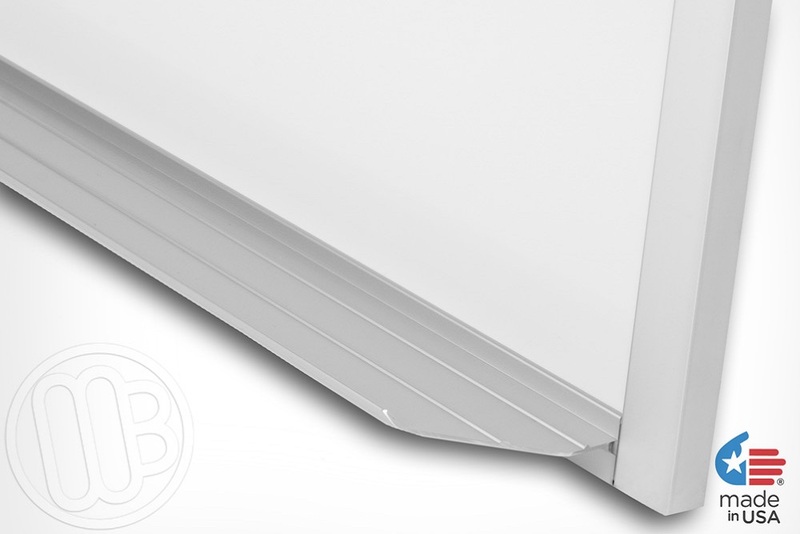 2-Piece Units: Shipped as equal halves with a white painted H-bar in the center of the unit. Custom Sizes Available - Contact customer service for assistance. *Quick Ship lead times may be restricted to a max quantity of four units per order and is subject to availability. Great White® is a Registered Trademark of OptiMA™ Inc. Thank you for your excellent product AND costumer service. This was the fourth white board that I buy for the school and I would definitely use the company again. I picked up this board because I could get it in the exact size I needed and because of some of the reviews for less expensive boards that said they tend to flex because they're thin. I knew that would be annoying because I would be using it often when teaching classes. So I ordered this one. It came quickly, with easy instructions for installing it, and shortly I had it hanging on our conference room wall. I love the heavy duty look and feel of this board. If you need one that will be constantly used, this is the board for you. ONE SIDE NOTE: I noticed after using it that there is a pinhead sized chip that grabs marker dust and never gets cleaned. I called MyWhiteBoards and the guy told me the surface is actually porcelain. So I'm going to pick up a little white Testor's paint and fill it in. It's certainly not a reason to return the product or to reduce my satisfaction with it, but the guy said I should mention it.